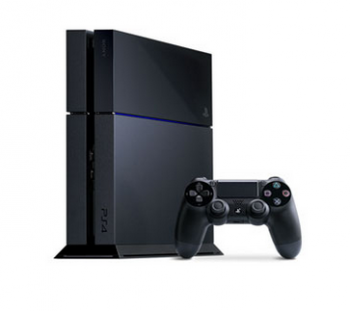 PS4 research and development costs pushed Sony's Game segment significantly in the red. Smartphones and a favorable exchange rate helped Sony achieve a 13% increase, year-on-year, in sales, bumping up operating income by Â¥30.1 billion ($367 million). Had it not been for those two factors, things might have turned out very differently, since sales of video and compact digital cameras are down, and the game segment's research and development costs for the PS4 pushed that segment deeply in the red. The game segment made an operating loss of 14.8%, or $149 million. But that exchange rate doesn't always help, and Sony's anticipating higher game sales but lower results, due to the depreciation of the yen against the dollar. High U.S. dollar hardware costs will offset any sales gains the game segment might make. "Sales are expected to increase significantly and operating results are expected to deteriorate significantly year-on-year," according to Sony. Sony is revising consolidated sales for the fiscal year upward in spite of this, primarily due to the positive impact of the depreciation of the yen on sales of its other products. This won't last forever. Research and development are costs that must be eaten, in the short term, but come Christmas the new console will launch, delivering "the ultimate gaming experience" according to Sony. Then things will start looking a lot better. The rapturous reception the PS4 enjoyed at E3 - helped in no small part by Microsoft's blunders - gives Sony every reason to think Christmas will be very good for its new console.